"Tucson ... is a kind of antipodes where they have no winter and where there is nothing to read." —Poet Wallace Stevens, in a letter to a friend who was coming here to vacation, 1949. We can forgive Stevens. He was jealous—stuck in Connecticut, in March, again—and Houston was the closest he ever came to Arizona. 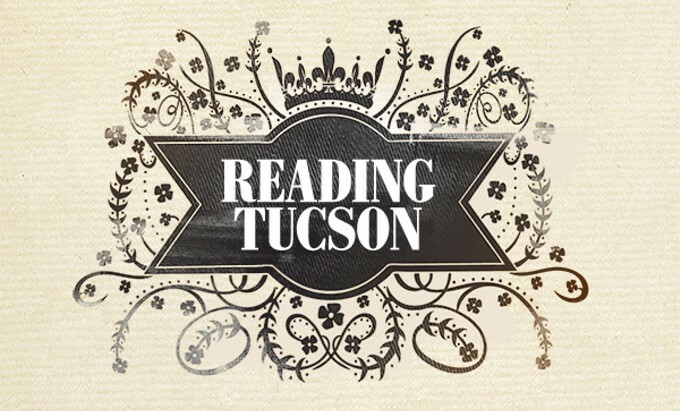 There has always been something to read in Tucson. This is a quick, idiosyncratic survey of five vastly different books that offer glimpses, through time, of Southern Arizona. Summerhayes (1844-1911), a cultured native of Nantucket who'd lived in Europe and studied German literature, was 29 when she married an Army officer. She came west with him in 1874, eventually to the Arizona Territory, where she kept house—a heroic undertaking, even with the help of local servants—at a series of posts, including Fort Mohave, Fort Yuma, Camp Verde, Fort Apache (in the White Mountains), Fort McDowell (north of Phoenix), Fort Whipple (near Prescott) and, briefly, Fort Lowell. Summerhayes is a vivid, dashing writer with a great subject: the repeated upheavals, arduous primitive travel and massive difficulties of maintaining something resembling a Victorian household on the frontier in the 1870s. She complains steadily—you can't blame her when the thermometer hits 122 as they steam up the muddy lower Colorado—but also clearly relishes her memories of what amounted to a life of camping out. (Her difficulties were soon compounded by a baby son—the memoir's dedicatee—who is at one point found covered by black ants in a tent inadvertently pitched on an anthill.) The housing was primitive; the food supply was unreliable; the water was often bad; her clothes were hot and inappropriate; Geronimo was never completely out of the picture; and, of course, there were no swamp coolers. And yet Summerhayes always seems on the verge of going native. The tortillas were delicious to eat, and as for the frijoles, they were beyond anything I had ever eaten in the shape of beans. ... Now if you could hear the soft, exquisite, affectionate drawl with which the Mexican woman says chile verde you could perhaps come to realize what an important part the delicious green pepper plays in the cookery of these countries. ... Patrocina (a servant) often prepared me a dish (of carne seca). She would pound it fine with a heavy pestle, and then put it to simmer, seasoning it with the green or red pepper. It was most savory. On a Cocopah Indian called Charley. Charley appealed to my aesthetic sense in every way. Tall, and well-made, with clean-cut limbs and features, fine smooth copper-colored skin, a handsome face, heavy black hair done up in pompadour fashion ... wide turquoise bead bracelets upon his upper arm, and a knife at his waist—this was my Charley, my half-tame Cocopah, my man about the place. ... (Guests) were always astonished when the Cocopah Indian waited on them at table, for he wore nothing but his loin-cloth, with about a yard of calico floating out behind, and although it was an everyday matter to us, it rather took their breath away. On Tucson in June 1878. Tucson lay far to the south of us, and was even hotter than (Fort McDowell). Arriving at Tucson, after a hot and tiresome night in the stage, we went to an old hostelry. Tucson looked attractive. Ancient civilization is always interesting to me. On Tucson in June 1882. We traveled to Tucson in a Pullman car. It was hot and uninteresting. I had been at Tucson before, but the place seemed unfamiliar. I looked for the old tavern; I saw only the railroad restaurant. ... Everything seemed changed. Iced cantaloupe was served by a spick and span alert waiter; then, quail on toast. "Ice in Arizona?" It was like a dream, and I remarked to (husband) Jack, "This isn't the same Arizona we knew in '74," and then, "I don't believe I like it as well, either; all this luxury doesn't seem to belong to the place." Rosemary Drachman Taylor (1898-1981) was the eldest child of Mose and Ethel Edmunds Drachman; Mose, born in 1870, was one of 10 children of Tucson pioneers Philip and Rosa Katzenstein Drachman. The doings of Drachman descendants—many of whom have been deeply involved in local real estate, tourism, government and philanthropy—have been a big part of the city's development. Mose Drachman once sold lots in the creosote flats around the UA—"way out in the country," "two miles from town"—for $4 an acre. His brother Roy was one of the movers and shakers of Tucson real estate starting in the 1940s. Taylor's book, which sold briskly and was made into both a Broadway play and a movie, is an affectionate, anecdotal account of family doings in her parents' boarding house at the corner of University Boulevard and Seventh Avenue in the first decades of the 20th century. Much of the action could take place anywhere—Taylor tells stories involving her mother's industry and cheapness, and her father's flirtatious ways and impulsive business deals; there are tales about temporarily lost children and boarders who secretly get married and then sneak around at night, scandalizing the household. But Taylor also provides loving, detailed descriptions of things that could only have happened here, including her mother's "looting" of topsoil from neighboring lots and a vastly successful Mexican dinner given for charity in the days before numerous restaurants. And we get a sight of a much emptier landscape. On the view from 35 E. Third St. (now University Boulevard). On Tucson winters and Tucson houses. We did stay in the house all winter, though, and it wasn't always comfortable because at first it had no furnace—just fireplaces in the parlor, dining room, and living room, and flues for the stoves in the bedrooms. Cold? You bet it was cold. I don't care if we are the Sunshine City with roses blooming in December, in wintertime it's freezing nights and mornings. Our house was drafty, because, when it was being built it rained so much the wood warped and shrank. But, as Mother said, "I've never see the wild flowers so beautiful as they were that year." On the birth of tourism. I can't put my finger on the exact time that Tucson stopped being a sleepy little western town trying to be like California and became smart and swank and simply overrun with millionaires, ladies of title and fashion, celebrities of one kind or another. It came so suddenly. We'd scarcely got our paving down and the new bus lines and changed from cesspools over to sewers, and here we were being written up in Vogue as a place to go when one was tired of the Riviera. ... In private schools, newly built on the desert, heirs of Guggenheims, Westinghouses, Vanderbilts, Whitneys and the like acquired an education and a sun tan, and strolled about our streets in cowboy clothes and 10-gallon hats. Among the glamorous, louche people who turned up in Southern Arizona was Georges Simenon (1903-1989), the prolific Belgian creator of the fictional Parisian detective, Maigret. Simenon had to leave Europe at the end of World War II—he was, if not a collaborator, at least an opportunist—and he spent a number of years in the United States, including more than three years in Southern Arizona, where one of his children (with his secretary/mistress, later his second wife) was conceived and born. According to a 1947 Arizona Daily Star story, he was headed for Phoenix by car, stopped in Tucson and simply liked the looks of the place. In Maigret at the Coroner's, the detective—who, for some reason, is traveling around the United States studying American law enforcement—becomes interested in a murky, slow-moving trial taking place at the Pima County Courthouse in the summer; it's 110 degrees in the opening pages. The sordid case involves five young airmen stationed at the unnamed local airbase, a promiscuous woman who has died south of town on the railroad tracks, and a great deal of drinking and wandering around in the dark. It's so hot that Maigret makes startling concessions to local dress and drinks ice water and Coke like the natives. He also thinks dark, existential thoughts about American life. The story ends abruptly, with Maigret leaving town before the case is decided. Perhaps because of its exotic Americana—drive-in hamburger joints, seedy bars, colorful ethnics and those sinister desert train tracks—Maigret at the Coroner's has been, according to Keller, one of the most popular Maigret novels in Europe. On the heat and American wealth. Without a break, they found themselves in the broiling heat, in the brightest glare, heat and glare so heavy that sounds seemed muffled. Against the skyline the four or five tall buildings of the city could be seen. People left in their cars—even the Indian. On the lack of nightlife. He was wrong to drink too much. Yet what else was he to do? He couldn't sit for an hour in front of a single glass of beer as he would have done at a terrace café. Nor could he wander about alone on foot along the interminable streets. On Tucson as a city. Aside from the center of town, where the few buildings of over 20 floors were profiled against the sky like great towers, the rest of Tucson was like a development, or rather like a series of developments juxtaposed to each other. Some were richer, some poorer, but all were made up of equally new, tidy-looking ranch-style houses. Farther on, the streets were no longer paved. And there were vast areas where one saw nothing but sand and cactuses. They passed the airport and, without transition, they were in the desert with the great hills violet in the distance. Joseph Wood Krutch (1893-1970) was a distinguished critic and Columbia professor who moved to what was the outskirts of Tucson in 1952, where he began writing luminous essays about the Sonoran Desert, which he loved. Much of the poignancy of his beautiful nature writing lies in the fact that many of the places he knew have been paved over, and the plants and animals he describes about are almost gone from what is now the eastside of Tucson. (I heard once that his house was near Tucson Medical Center, but I don't know for sure.) He watched the city creep out around him—in his last interview, in 1968, with Edward Abbey, he mentions seeing billboards around town that said, "Help Tucson Grow," and thinking, "God forbid." The Desert Year is an account of his full first year here. Among the toads that he hears in the passage below are undoubtedly spadefoot toads, which still sing their bleating songs, in ever-diminishing numbers, in the arroyos of Tucson after the big summer rains. By fortunate accident I have found the ideal spot—a house not 10 miles from a medium-sized town but plump in the middle of hundreds of acres of desert, untouched except for an occasional artificial oasis where someone has put a home. To the north, only a mile or two away, rises a bold range of mountains, bare except for the scattered green dots which represent some clump of unconquerable shrubbery. In every other direction, the vista is close only at the horizon's edge, to which the nearly level desert stretches away. The oddest thing was a tentative sound which I heard after the first insignificant shower. It came to me somewhere out of the darkness, plaintive and feebly strident. It could be only some kind of a frog or toad, though no frog I had ever heard offered up to whatever his gods may be a plea like that. ... After the second rain—the real one—the whole desert was suddenly vocal. Frog voices were lifted on every side. One might have thought one was living in a marsh not a desert. ... Yet the songs, though no longer tentative, were nevertheless not the pure jubilation of the peeper. There was still, I fancied, a plaintiveness in them, as from a lingering sense of wrong. "It's high time," they said, "and we oughtn't have been compelled to wait so long." What I learned from my desert year was, first and most generally, to be "More sure of all I thought was true." Specifically, I re-learned many platitudes, including some I have mentioned—such as, for instance, that courage is admirable even in a cactus; that an abundance of some good things is perfectly compatible with a scarcity of others; that life is ever precarious, man everywhere small. Novelist, poet, artist and MacArthur genius award recipient Silko was born in 1948 and raised in New Mexico, but has lived in the Tucson Mountains, on the border of Saguaro National Park West, for 30 years. Her book is both a memoir of her family and early life and a lucid, spiritually enriched nature almanac, an enchanting and enchanted account of a life lived in the desert, by a woman who pays close attention to rocks, weather, horses, dogs, grasshoppers, birds and, especially, rattlesnakes. Silko's affinity for rattlesnakes and her willingness to live with them around—and even in—her old ranch house is as refreshing as the thunderstorms she celebrates. (How sick are long-time Tucsonans of hearing newcomers babble about the natural terrors that surround them here? Very sick.) Unafraid of the snakes, living with them year-round, she is able to intimately observe and describe their ways—and to tie their doings to other natural phenomena—as few people can. In 1997 I started writing little notes about the sky, the clouds and all us desert creatures anxious to have the rain. ... I left art magazines and a VCR outside in the yard as an unwitting offering to the rain; I brought the items indoors then worried that I'd offended the rain clouds. To leave valuable possessions outside indicates the wretched hopelessness felt after years of drought. Clouds please take pity on us. Steep banks of violet blue cumulus drift over the southwest horizon, off the Gulf of California; later in the morning, the rattlesnakes come out in anticipation of the rain. The light is pearly blue and cool enough for the snakes to await the rain. They favor spots near sources of water or shade, so it is easy to anticipate where they may be. In my yard one rattlesnake sits next to a ceramic bowl and its twin curls up in the rainwater drainpipe nearby. They lie in wait for birds and rodents. At 5 a.m. the sky over the Catalina Mountains is an ethereal mist of lavender pink. The humidity in the air above the peaks reflects the light of the sunrise blocked by the mountains. I hadn't walked in weeks and all the lovely colors of the morning called me out.